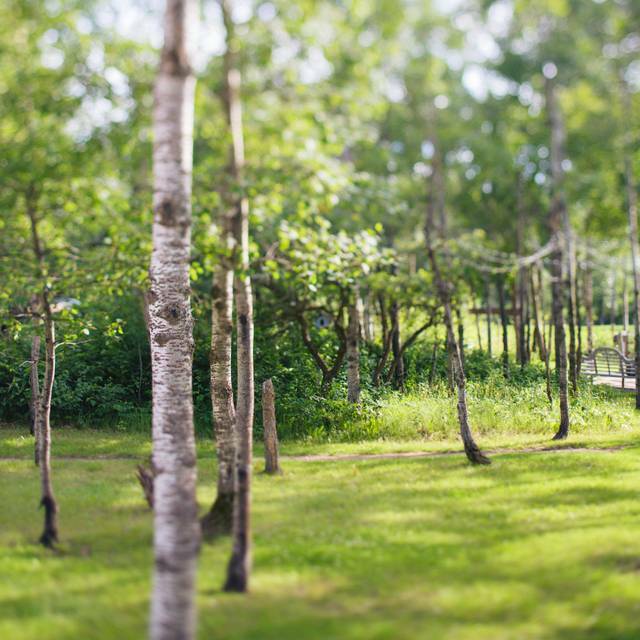 Our large private lot is located on Heatherdale Road, just North of Garven Road. We also have a lot off of the South Drive in Bird's Hill Park. We love to make your life easier! From intimate dinner parties to large scale office parties or weddings, we would love to work with you to create the meal, service, and environment that you envision! We have several private dining areas available. Our upstairs dining room can accommodate up to 50 guests and is a beautiful timber-framed room with large windows overlooking our property. Please contact groups@pineridgehollow.com for inquiries! Seasonal group menus are available and there is endless ways to customize and create the event that you envision. Please contact the Hospitality Manager for more information! Here at Pineridge Hollow we celebrate the prairies and the people of the prairies. We choose to celebrate Manitoba’s distinct seasons and the land we live in. We believe in supporting local growers and producers and are proud to feature the talents of our neighbours whenever we can. We believe that our climate, our soil conditions and our water all make prairie produce unique and wonderful. 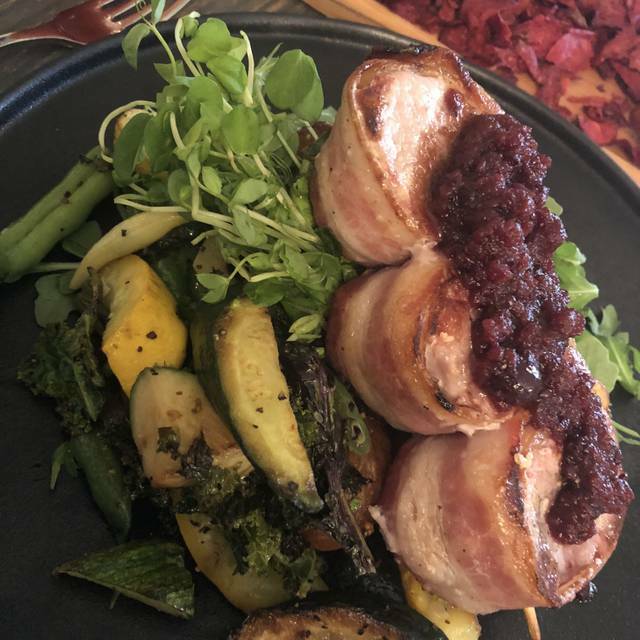 At Pineridge Hollow we are delighted to share wholesome, delicious and comforting food with our guests. We believe that you should have a beautiful place to get away from it all, a place that celebrates with you and comforts you. We believe in local eggs, kitchen cutting gardens, real cream and fresh flowers... Located just 15 minutes North of Winnipeg, south of Bird's Hill Park. Please note in your reservation if any guests have difficulty with stairs so we can ensure you main floor seating! We offer a Mother's Day Brunch from 9 am to 2 pm outside in our wedding tent. Tickets available online only starting April 1. The restaurant will be open at 5 PM for dinner with regular menu available. Go to www.pineridgehollow.com to purchase the Brunch tickets. Food was good, the waitress was knowledgeable and helpful regarding my wife’s gluten free requirements. Very enjoyable. We will go back. Thank you for such lovely sentiments Cassius. We are grateful to have such wonderful staff and are thrilled to hear that you enjoyed your time at Pineridge Hollow. We, including the animals, look forward to your next visit. We went for brunch and all six of us truly enjoyed our meals. Banana Bread French toast, Ricotta pancakes, cinnamon bun - it was all fabulous. Being Easter Sunday it was pretty quiet. Service was fantastic. Thank you for such a kind review Laurie. We agree, the brunch menu items are so yummy! Happy to hear it was an enjoyable Easter Sunday for you and your company. We look forward to seeing you all again soon. We had Easter brunch and it was fantastic. The service, the food just wonderful. Definitely will be going back. Thank you for such a kind review Michelle! We are thrilled you enjoyed your time here and look forward to having you back. Excellent food, friendly staff, quaint and relaxing! Thank you for your kind review, we hope to see you back again soon. Enjoyed a great burger and fries and some fish and chips with the family. Food was delicious! We shared the lemon meringue dessert too. It’s a lovely menu item. So fresh and summery! We did some shopping too. Came back for a second floral vase to add to our cottage because we loved it so much in our home! A big thank you as always for great food, great service, and great shopping. Thank you for such a lovely review Ashley, we are thrilled to hear about your great experience. We are truly blessed with amazing staff and they will be happy to hear about your time spent at Pineridge Hollow. We look forward to your next visit! As you can see from the review everything about our visit was very good. My daughters fries were cold and she did not want them to be heated up as she said that she never heated up fries. Two of had the flatbread with eggs. The two of us would not eat that again as we found the flatbread tough and and doughy. I had the Caesar salad and couldn't taste the dressing. It was very bland. The bacon bits and coutons were fabulous. Thank you for your feedback Ron, we apologize. 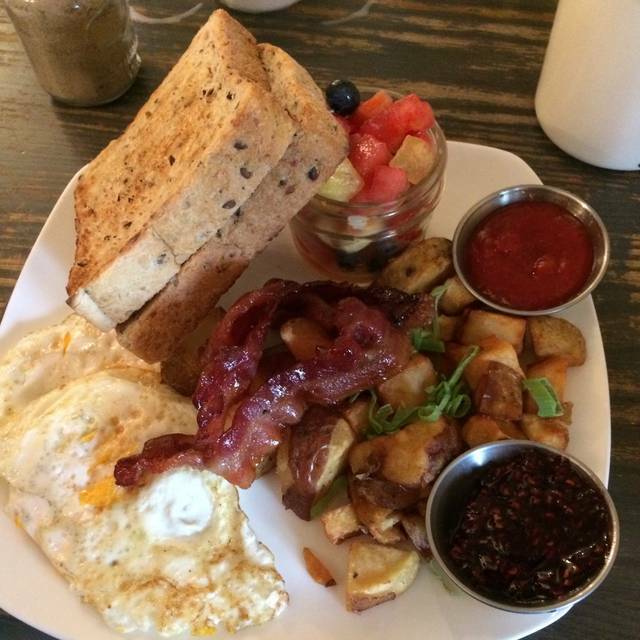 We are so glad it turned out to be a great brunch! 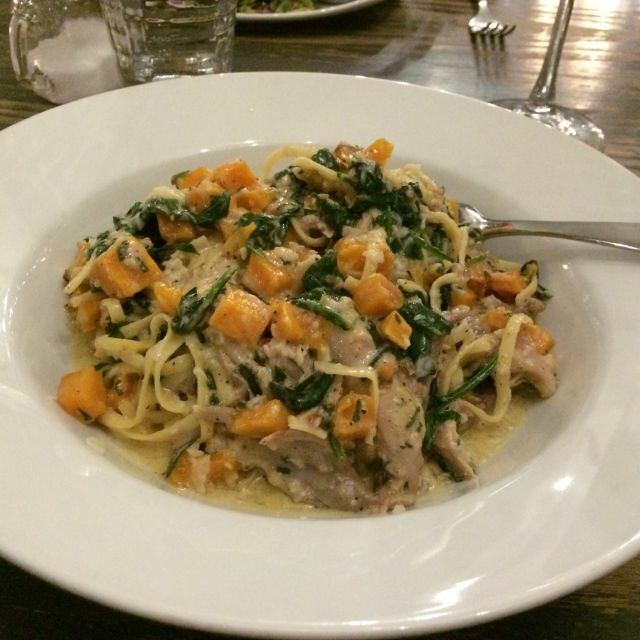 We look forward to having you dine with us again. Thank you for such a kind review Miranda! We are thrilled you enjoyed your time here and look forward to having you back. 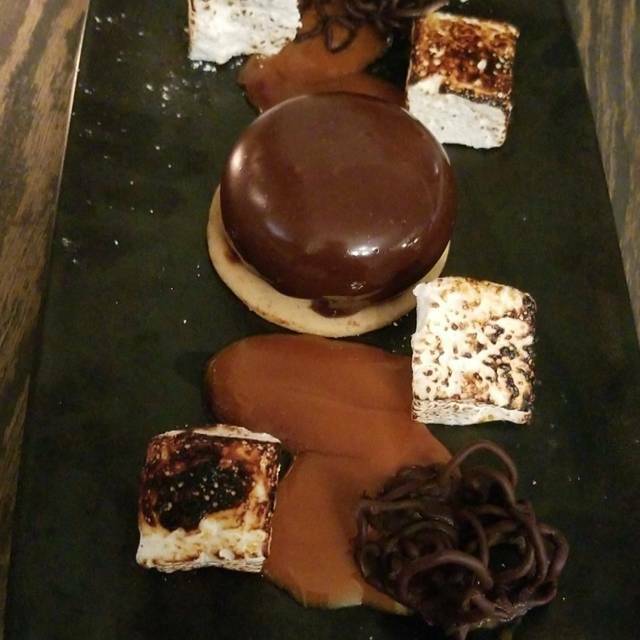 We had a wonderful meal, 10/10, can't wait to go back! Thank you for such a kind review Hutch. We couldn't be happier to hear about your experience here at Pineridge Hollow and we look forward to having you back. Thank you for such a kind review Judith. We apologize for the noise, but are thrilled to hear you enjoyed your experience with us at Pineridge Hollow. We look forward to seeing you again! Great place to meet friends for dinner. Our server was very friendly and hospitable!! The only draw back is noice level. Very high with so many people in one small room . Thank you for your kind words Anny. We appreciate all the feedback we receive and our team will be pleased when they hear your review. Very disappointed this. Have been many times before and loved it. Had the confit chicken alfredo recommended by our server. Could not taste the smokey cheddar at all. This dish was absolutely tasteless! Had no flavor whatsoever. When our bottle of wine arrived, it was immediately poured into our glasses. We were not given the opportunity to try a sip first as in all restaurants. Cannot see ourselves returning for awhile. We were shocked that one of our group was served croutons and bread after specifically stating she had celiac disease and could not have wheat products due to severe allergy. It was discussed a few times to ensure that the items ordered were gluten free. The hostess was very apologetic and they picked up her bill, but we had to rush home due to the symptoms and reactions started immediately. Unfortunately we could not spend the day together as planned. I’m so sorry to hear about your experience Nadia. Guest satisfaction is something we take very seriously. We would love the chance to do better. We hope to see you again, and once again we apologize profusely for this incident. Our visit to Pineridge Hollow was amazing. The food was so good and the service was fantastic. My friends and I had a great time while we were there, between the restaurant and the shopping. A very nice way to spend an afternoon. Thank you for such a lovely review Robert! We are grateful to have such wonderful guests like you, and are thrilled to hear you all had such a great afternoon. We look forward to the visits to come. 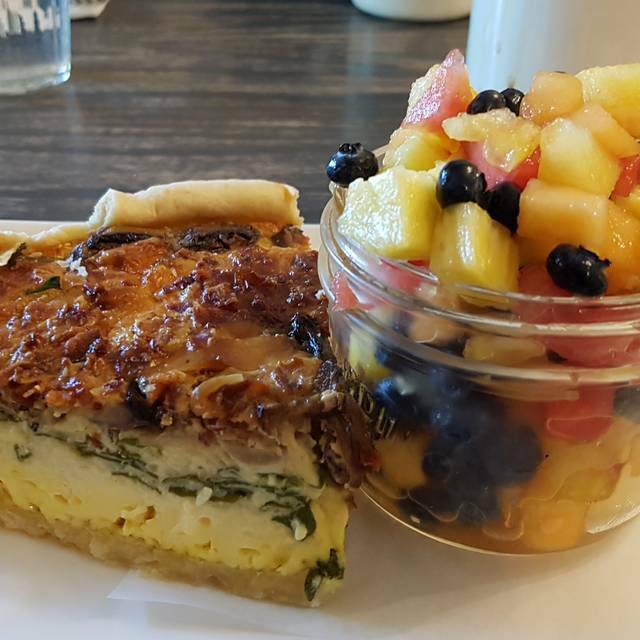 It was awesome as usual.....we all had the daily quiche, Pineridge salad and beet chips and it was all amazing. Thank you for the kind review Sue. The beet chips are always a crowd favourite! We look forward to seeing you again soon. Thoroughly enjoyed our visit once again, the service was great and so was the food ...... nothing let’s the Restaurant down ... it was just a tad chilly in the area we sat. Thank you for your feedback Kristy. We love hearing from previous guests, and we look forward to your next visit at Pineridge Hollow. We will make sure to have the seating areas at a comfortable temperature. Beautiful setting and comfortable ambience makes for a wonderful dining experience. The beet chips appetizer always keeps me coming back...those darn things are soooooo addictive!!! Thank you for such a kind review Leanne. The beet chips are always a crowd favourite and we are thrilled to hear they keep you coming back. We look forward to seeing you again soon. I always enjoying coming to PRH. The food was excellent this time! It hasn't always been. I do find for breakfast you don't carry heart healthy waffles, you used to, but no longer do. Meaning waffles made of wholewheat flour or brown rice flour. Those of us who can't eat sausages or bacon or fried foods would like heart healthy options! Thank you for your review Peggy. We appreciate your feedback and letting us know how we can improve (even in the smallest way). We look forward to having you back at Pineridge Hollow. The ambiance of the setting and whole place is very nice. 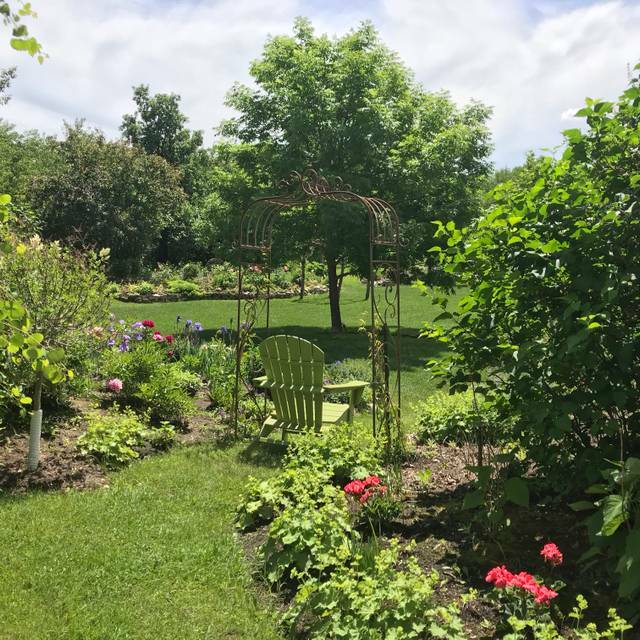 The porch and dining room generally is noisier than I would like BUT ..... the food, service, and the furniture, clothes and gift shop, the animals and park-like setting make the place a wonderful place to visit. It is a treasure to have it situated next to Birds Hill Park and so close for those of us in Springfield and worth the drive for those who have to come further. Thank you for such lovely sentiments Willard, we are grateful to have such wonderful guests like you. We are thrilled to hear that you enjoyed your time at Pineridge Hollow. We, including the animals, look forward to your next visit. The food, service, and setting all helped in making "the Hollow" a fantastic place to celebrate a special occasion. It was our 41st Anniversary, and, from the moment we arrived to the time we left, my wife and I knew we had made the right choice. Tucked in a rural setting which featured views of a few of the resident farm pets, Pine Ridge Hollow presented a memorable and a truly positive experience! The food was great and the service was prompt, courteous, and friendly. Special occasion or not, we will definitely be back! Thank you so much for such lovely sentiments Ted, we are grateful to have such wonderful guests like you. We are thrilled to hear that you enjoyed your time at Pineridge Hollow. Our staff will be delighted to hear of such a wonderful experience as we are so lucky to have such a great team. We, including the animals, look forward to your next visit. Happy 41st Anniversary from all of us at Pineridge. I’m sorry to hear about your experience Chris. Guest satisfaction is something we take very seriously. We would love the chance to do better. We hope to see you again. Loved everything! Did feel like our table was sticking out in the walkway a little. The food was excellent. It’s such a charming, cozy atmosphere! Highly recommend going. We’ve already rebooked for mother’s day. Thank you for such a kind review! We apologize for the seating, but are thrilled to hear you enjoyed your experience with us at Pineridge Hollow. We look forward to seeing you on Mothers Day. It was an excellent evening and I must say the food was excellent. We were seated next to large group with baby so slightly louder. Thank you for your lovely review Lise. We are so happy you enjoyed your time, and meal at Pineridge Hollow. We appreciate your feedback and look forward to having you dine with us again. Service was good , food was very good, noise level was too high and a bit irritating. We were on the main floor, inside . We have dined on the second floor and it generally is quieter, more acceptable noise level and the ambience is nicer than the ground floor. We had a nice and enjoyable time. Thank you for your feedback Adam. We are sorry to hear that we did not meet your dining expectations. Thank you for taking the time to share your experience with us. We hope to see you again. I had a reservation for four and requested a table on the second level. When we got up to our table, we found a large group (8-10 people) was sitting right next to our table. They group was quite loud, which is fine. Had we have known, we would have opted for a table on the main floor. It may, out of courtesy, be a good idea to inform diners prior to seating. We thought it would have been rude for us to request to go back down stairs. All in all, always a great dining experience with great food. Can't wait to dine on the deck. Thank you for your review Gord. We appreciate your feedback and letting us know how we can improve (even in the smallest way). We look forward to having you back at Pineridge Hollow, and would love the chance to do better. Thank you for your kind words Reanna. We appreciate all the feedback we receive and Pam will be pleased when she hears your review. We look forward to having you back. Always enjoy the food and seeing what changes you’ve made in the restaurant and store. Thank you for your feedback. We love hearing from previous guests, and we look forward to your next visit at Pineridge Hollow. We very much enjoyed ourselves. A beautiful evening with great food and ambiance! Thank you for your kind remark Tom. We look forward to seeing you again at Pineridge Hollow! Susan, thank you for choosing Pineridge Hollow as one of the places to experience while you visit Winnipeg! We are thrilled you enjoyed your time at our venue. We look forward to having you both back this summer. Excellent ambiance, the charcuterie board was fabulous and the service as usual was impeccable! Thank you for your thoughtful remarks Wils. We are delighted to hear that you enjoyed your meal, and our team will be pleased to hear your review. We look forward to having you back. The food was amazing! Incredible portions and presentation was stunning. Great selection for people with food restrictions. Thank you for your thoughtful remarks Cyndi. We are delighted to hear that you enjoyed your meal. We look forward to having you back. As always, it’s like coming home . Tasting the love and passion for what’s put on a plate from the Chefs in the kitchen! Thank you for your thoughtful remarks Cyndy. We are delighted to hear that you enjoyed your meal. We look forward to having you back. Love the renovations and the color schemes. Love walking in and seeing our favorite host; Colin. Colin always makes us feel like we are coming home for dinner! The appetizer of beets chips are a regular favorite, with a special treat from Sous Chef Ryan of chips cut like waffle chips, could not get enough of them! The fish and chips i had were delicious, with portions very filling. The rack of lamb, my husband had; was superb in presentation and flavor. The beverages were as tasty as always. The desserts; raspberry meringue was a tad too hard; the ice cream/sherbet was easier to slice than the meringue. The frozen lemon meringue was to die for! So tasty and light! Celebrating our Birthdays anywhere else would not be fitting! Thank you so much for such a kind and lovely review Bonnie. 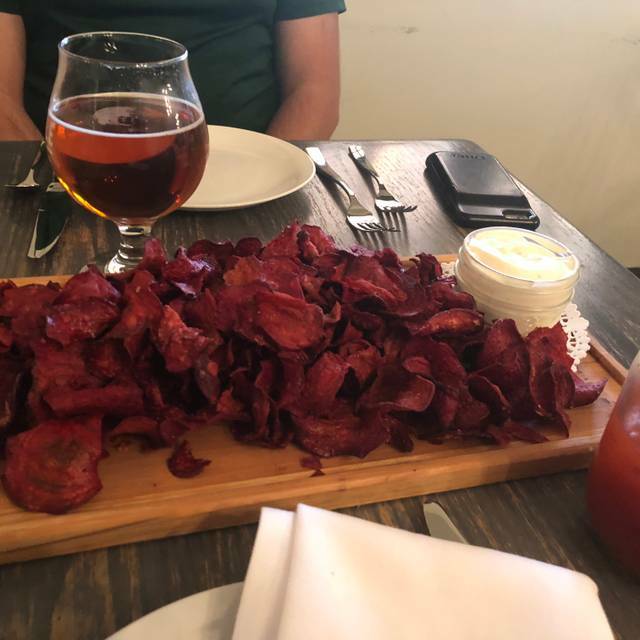 The beet chips are always a crowd favourite and we are thrilled to hear you enjoyed your meals, as well as time spent here at Pineridge Hollow. We look forward to seeing you both again soon. Great place to spend time with friends enjoying good food and the casual atmosphere. It was a most enjoyable afternoon. We have reservations for Easter and will be back again in the future. Thank you for such a lovely review! We are grateful to have such wonderful guests like you. We look forward to the visits to come. Good solid restaurant but the plates are bizarre and don’t fit. The small salad was too large for the plate. Croutons on salad are store bought (really) and the menu is sort of stuck in the late 90s. It needs a refresh. The service was totally outstanding! Thank you for your review. We appreciate your feedback and letting us know how we can improve (even in the smallest way) our service team will be pleased when they hear your review. We look forward to having you back. I love going to pineridge hollow for lunch. Service is great, food is always good. a great place to go for a relaxing lunch with friends. Thank you for your kind words. We appreciate all the feedback we receive and our team will be pleased when they hear your review. We look forward to having you back. I’m sorry to hear about your wait time experience. Guest satisfaction is something we take very seriously. We appreciate your review and hope to see you again. Exceptional as always!!! From the Maitre'D to the Wait staff this restaurant never fails to disappoint. The menu is varied. The ambiance pleasant. Take some time after your meal to visit the gift store, take a walk around the grounds, or visit the corral with the pigs and goats. A very fun day!!! Thank you for such lovely sentiments Barb, we are grateful to have such wonderful guests like you. We are thrilled to hear that you enjoyed your time at Pineridge Hollow. 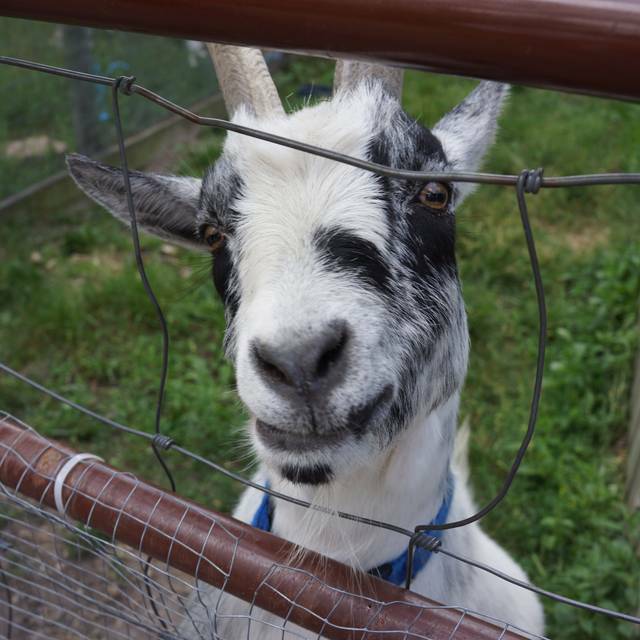 We, including the animals, look forward to your next visit.